Sunrise over the frozen Bering Sea, first morning in Nome. I’m about to find out the answer to that question. It’s Day 1 in Nome, Alaska, and so far I can tell you with absolute certainty that there’s no place as cold as Nome. At least not that I’ve been to. So, why would I leave sunny, 70+ degrees in El Paso for Nome with its double digits below 0 temps? Because that’s where Davis is. Someone I met recently asked me why I was visiting my son now, at the coldest time of the year. Why not wait till May or June, when the weather’s warmer, he asked incredulously. Because I’m a mom. And that’s what moms do — show up when they’re needed most. Like when your son has been dealing with the deepest, darkest, coldest winter he’s ever experienced, with no visitors from home. Besides, it’s his birthday on Saturday and I want to be here to celebrate it. When I ventured out for a walk this morning, the temperature was -20 degrees. I thought I was prepared. Dressed in layers, thermal gloves, fur-lined boots, hat and scarf, I headed out the door for Front St”, one of three roads that lead out of Nome. Within minutes, my nose went into shock. I could hear it rebelling as the cold froze my nose hairs. I tried opening my mouth. Big mistake. I pulled my scarf up over my nose and kept going. Soon my forehead started stinging. Like when you’re about to get a headache. Only this pain came from the outside of my head. Then my cheeks joined in. But I kept going. The quiet majesty that surrounded me was worth the discomfort. The frozen Bering Sea stretched before me and alongside me as I walked down the road, my boots crunching against the padded-down snow underfoot. The sea’s hardened surface glistened in the early morning light as pink and orange hues spread across the horizon. What looked like waves that had frozen as they crested above the water protruded across the snow-covered landscape. Everything frozen in a timeless beauty. Still and silent, I stopped to watch a glowing globe emerge above the bluish-white icy landscape. Faced with Nature’s power and beauty, I was reminded of how small I am. How inconsequential my day to day concerns. How powerless I am in the face of such power. And how sometimes, no matter how well-prepared I think I am, I cannot anticipate the outcome. Yet I can trust. As I made my way back to the house, I felt happy to be here. Sub-freezing temperatures and all. Because I’ve learned life and love are about much more than wanting to feel comfortable. Give me a few more days here. I’m sure I’ll have more insights into why there’s no place like Nome. No, I’ve not disappeared. 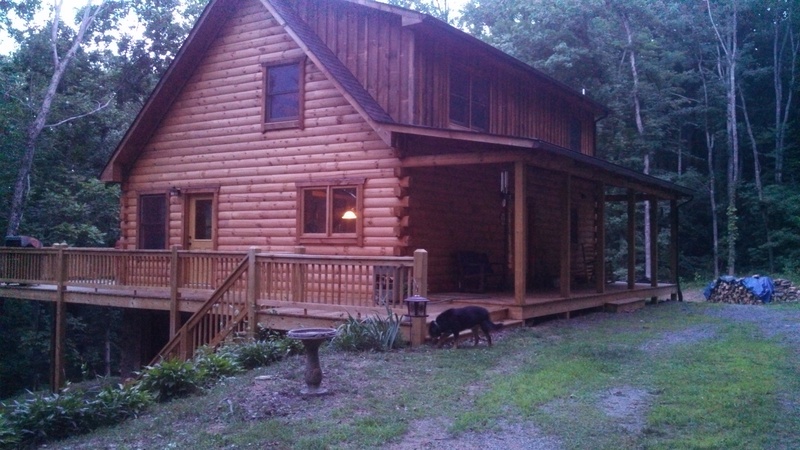 I have a good reason for taking a month off from my blog — the sale and closing on my beautiful log cabin in Greene County, Virginia. 12 hours on the phone working out the details of this major move (most of them spent on hold with Direct TV). Eight friends helping me pack, bringing me food, transporting stuff to storage and Goodwill. Six days driving 9+ hours a day (from El Paso to Virginia and back again). Four trips to a storage unit with some items Davis will surely not know what the heck to do with. Two weeks packing, sorting, and discarding. One light snowfall blanketing the woods and mountains. And a cardinal in an oak tree. It’s been bittersweet, to be sure. Finding myself back in that special place brought up a lot of memories. 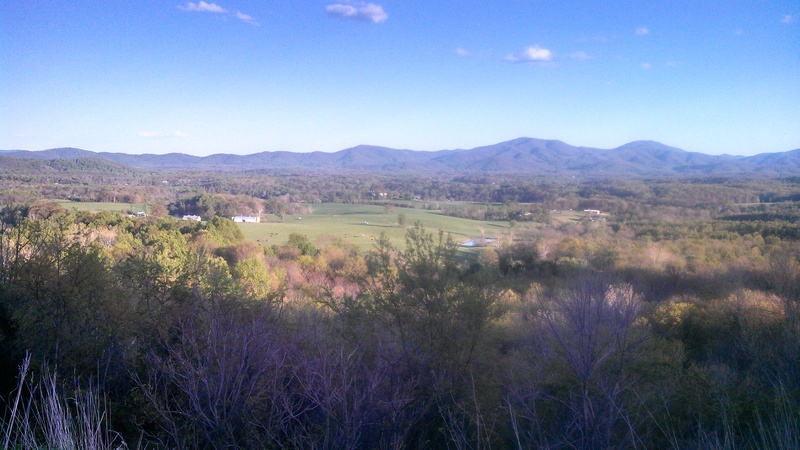 It gave me a new appreciation of my friends, of my Greene County community, of the privilege of living in the foothills of the Blue Ridge Mountains, and, most especially, of the spiritual significance of living in the silence and solitude of this log home that I envisioned and manifested. Although two weeks was barely enough time to get everything done and moved out, I managed to pause each day. Take time for contemplative silence. Note the blessings. And be grateful. That practice helped me remain focused. It calmed me, gave me clarity, and assisted me in letting go of my last tether to Virginia. Not an easy thing to do. Because I love that home. I love my friends. I love Greene County. I experienced one last snowstorm in this magical place. Still, I knew it was the right decision. And I experienced, much more clearly than I had before, just how much Spirit had upheld me, kept me safe, supported and loved me in this space. Through the questions and doubts, the loneliness, the seeking, as I attempted to listen more and more deeply to where my heart was calling me. I felt such profound gratitude. Gratitude for the graces of both the peaceful and tumultuous emotions that surfaced here. For the healing that took place as well. For the Love that never left me. Gratitude for the community of friends who have showed up whenever I needed them. For those of you who are reading this, I can’t even find sufficient words to thank you. Greene County is an amazing place. I think of the friends who appeared at my door within minutes after David died. Your countless meals, offers of physical and emotional support, and prayers carried me through that stage and beyond. Three years later friends again appeared to help me move from our family home to this dream home in the woods. And now, again, you have come to support me. I know I could not have made this transformational move without you. Now I’m back in El Paso, settling into an apartment. I haven’t lived in apartment since before I got married at 24 — a very long time ago! Yes, it’s an adjustment. Another practice in letting go. Daily I am learning to say “yes” to life as it shows up. To accept a life that’s rarely on my terms. And, I hope, paying attention to the graces. When I’m in the flow of life, I recognize them. Just as I did these past two weeks in Virginia. They show up in various forms, in unexpected places. They come in different shapes and even in colors. My favorite happens to be Greene. Mountains flank my snowy, winding driveway as I prepare to leave Virginia. I can’t believe I’m writing this. Esther died today. Less than three weeks ago she came into my room at Grandview house and said she had some news. Esther never even ventured into my room, so when she pulled out a chair and sat down, right away I knew this was serious. She told me she had cancer and it had spread throughout her body. I was in shock. We all were. 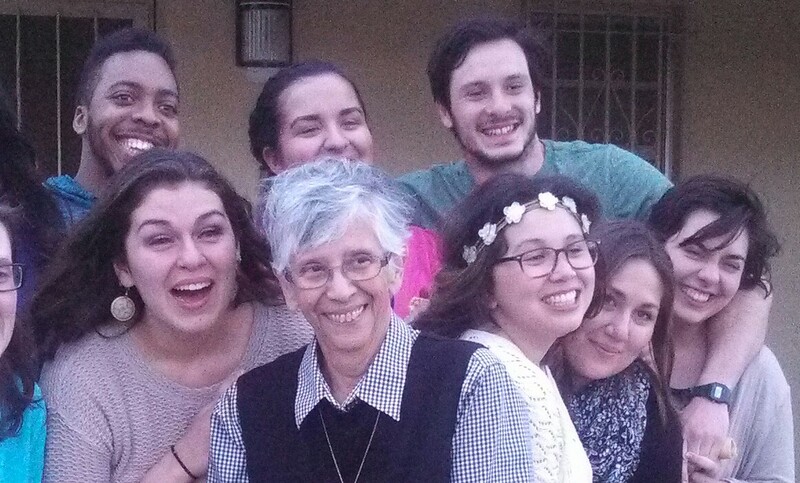 Esther was the Sister of St. Joseph with whom I’d been living since I arrived in El Paso in early December. Over the past few months she’d been losing weight. I thought it was due to the stress of managing this big house by herself. Although I was helping as much as I could, having volunteers coming and going every two weeks or more, trying to feed them all, keep the house clean, and manage the bills, all seemed like a huge responsibility to me. And I wasn’t 70+ years old. Then Esther had developed this unrelenting back pain on top of the weight loss. Still I didn’t attribute it to anything serious. Esther was just too spunky and vibrant. A former phys ed teacher, she’d often break into song. Remembering a show tune or classic that somehow related to the situation at the moment, she’d simply start singing. Not the least self-conscious at all. Even though she rarely got through the first line or verse before forgetting the rest. So was her addiction to doing the crossword puzzle in the morning paper. Whenever I came down to breakfast, I knew if I sat down with her, I could expect to be drilled. “How many letters?” I’d ask. But she’d already have moved on to belting out the next clue. It was too much for my mind that early in the morning. Sometimes I’d eat my cereal in my room. The thing is, I love Esther. But at first, I wasn’t even sure I liked her. When I came to live at Grandview house, she questioned me. She didn’t understand why I had left everything behind. What was I looking for? More than once she told me she could never do what I was doing. And she wasn’t too keen on the idea that I was writing three days a week instead of working every day with the immigrant families at the hospitality center where all the other volunteers at Grandview spent their time. So, I offered to give her one full day a week of chores to help towards my room and board. Still, I don’t think she trusted me. Or my ability to live like a missionary and adjust to the situation. Our relationship didn’t exactly start out on stable ground. But as she saw how I adapted to making meals with whatever lay stored in the cupboard, how I rarely asked for anything, how I was available whenever she needed me, she eased up. And I grew less resentful. Prayer helped. So did my commitment to being there. And then, very subtly, Spirit slipped in and taught me how to open my heart to this woman. Showed me how to see her more clearly. Like the night Esther shared her faith story with me. How she’d been a teacher for years, focusing on herself, before she experienced a grace-filled moment that changed her life and caused her to join a religious congregation. The day Esther handed me a large sum of cash to manage groceries because she had to be away from the house for several days, I thought I’d cry. It was more than the fact that she trusted me. Without saying a word about it, I knew we’d grown fond of each other. By the time my birthday came around at the end of March, she was asking me what I’d choose if I could have my favorite meal. And then she went and bought fresh tuna steaks and told me to invite a friend to dinner. This from a woman who had worried aloud more than once about what the grocery bill was running. As Esther grew weaker, I felt especially blessed to be at Grandview. I actually enjoyed lugging the trash cans up and down the steep driveway every week. And pulling the weeds popping up out of the pavement and along the hillside. It would have been easy to stay there longer. 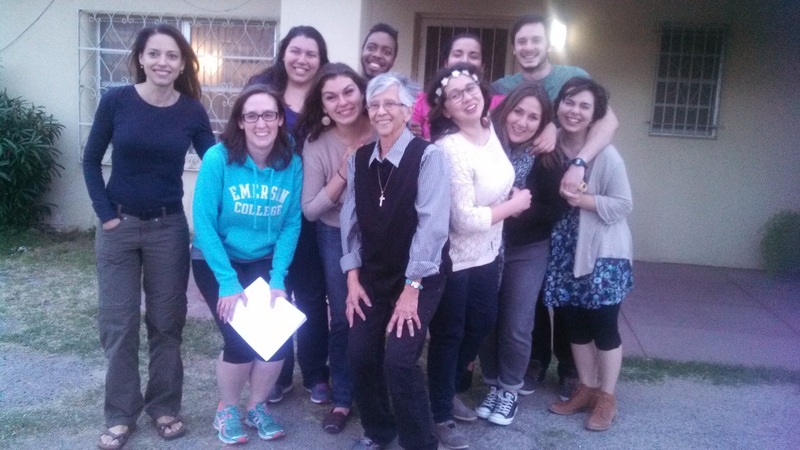 The morning I’d packed up my car and was ready to head out of El Paso, Esther and the other Sisters at the house gathered round to bless me on my way. The beauty of this gift — Esther had prepared the blessing. When I looked into her eyes to say goodbye, I recognized my own heart. I’m treasuring Esther’s gift tonight. Last week I drove nearly 1,900 miles from El Paso across Texas — more than a day’s drive in itself and, for me, a reaffirmation of why I wouldn’t want to live in Texas — all the way to Virginia. When I crossed the VA state line I let out a hoot. Everything was so beautiful! And colorful! The lush green hillsides. The grazing black and brown cattle. The white dogwoods. The purple and pink blossoms. Even the bright green layer of pollen everywhere. No more desert sands and rocky landscapes. I was so happy to be home. Still, it was hard to leave El Paso. But I made a conscious choice to return to Virginia. Mainly, I wanted to give Davis the option of coming home this summer. He’s been so supportive of me ever since I decided to go on this “mission.” It’s been a lot for a young person to take on — having his mom go off on an adventure so far from home. Yet he never once complained. Now I want to be there for him. And there were other reasons on the list, too. The fact that I need to make a decent income again certainly was up there. So, it was time to come home. But leaving El Paso — no, that wasn’t easy. Part of me is still there. It’s not easy to adjust to life in the mainstream again either. Like yesterday, for instance, I bought two different kinds of cereal. Both were healthy choices and they were on sale. It seemed like a good decision. But this morning when I opened my cupboard and saw those boxes sitting on the shelf, I almost cried. It’s been a while since I’ve had choices. In fact, having even one box of cereal I like is a special treat. To be able to choose from two felt a bit overwhelming. Maybe that’s hard for you to understand, but for the past nine months I’ve not had much control over my life. Not much choice about what I was going to eat. Or buy. Or who I was going to eat with. Or live with. Sometimes it was a lot more challenging than I’d imagined. But each time I’ve thought, “This is too hard,” grace stepped in and reminded me that anything I was experiencing was only a taste of what the people I was serving have experienced from day 1. The thing is, if you’re poor, you don’t have choices. Unlike me, many people I’ve met on this journey are not free to go home whenever they want. Those forced out of their homes by violence and hunger do not have choices. Not if they want to live. I suspect that most people coming to the Nazareth Hospitality Center didn’t want to leave home. Given a choice, I’m sure they wouldn’t have stepped out their door into the unknown, leaving everything familiar behind — their country, their language, their customs and values, their relatives and neighbors — to risk traveling thousands of miles to the U.S.-Mexico border where they hoped something better awaited them. Some talked of returning home someday. When things are different. One woman who came to Nazareth with her two teenaged sons confided that she was scared. Her oldest son had already been killed in their native El Salvador. She feared her other two sons would suffer the same fate if she didn’t leave. But, she worried, how would this new country affect her sons? How would they adjust to this culture, so different than her own? Would it change them? They were headed to her brother’s in Los Angeles — a city she knew would expose her sons to many things and many choices. She worried about what they’d be facing and how they’d handle it. But she feared even more the risk of losing them altogether if she’d stayed home. What choice did she have? Her story is only one of so many I’ve heard. Right now I don’t have the words to explain what it means to me to have the choices I do. To have the life I have. In the beautiful place I call home. And the gift of being able to choose to come back home.